Obviously by running this site you know that I love Christmas themed casino games. Online, it seems all there is is Christmas Slots. 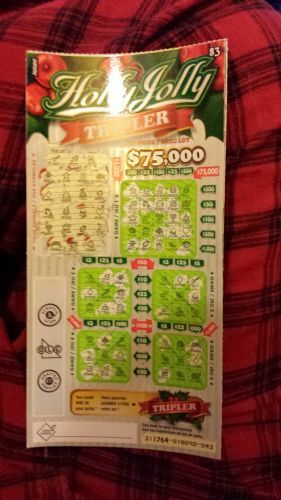 That’s why I like the scratch cards my local store sells – because come Christmas time, many of them switch to a Christmas theme. 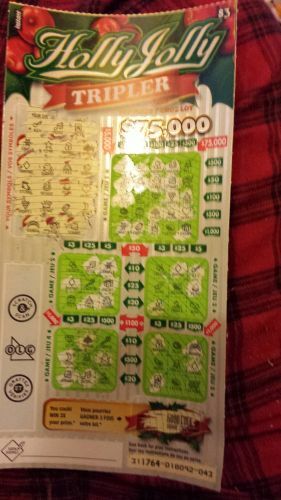 So as an excuse to buy them I’m going to buy some and then blog about them, and you can join me this Christmas season as I take you along for the journey and we see if I can actually win some money on these christmas scratch cards! 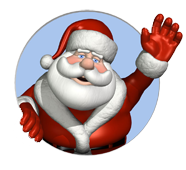 Quick note – if you’re looking to play a Christmas scratch card game online, Santa Scratch is your best option. You scratch the symbols to the left. Then you scratch them on the game boards. If you get a row – horizontally, vertically, or diagonally, then you win that prize. 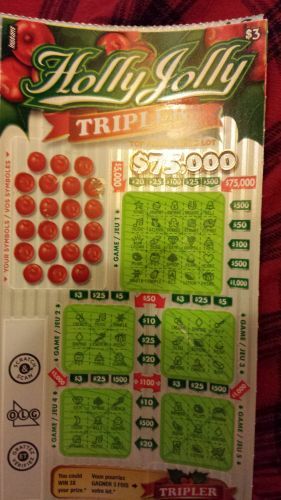 The “Triple” part comes in with the Tripler option below – scratch that and if we get the word “Triple” then we win TRIPLE the prize that we win. 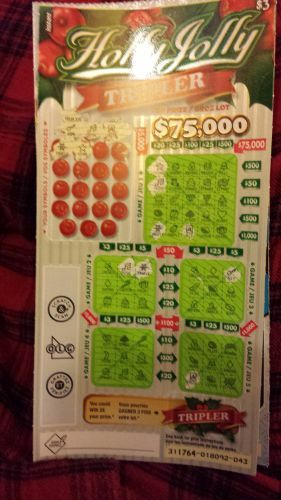 Sadly if we win $75,000 I doubt we’ll be getting that beautiful T-word. So this time we got the money bag, spade, diamond, gingerbread man, christmas tree and ornament. I LOVE how christmas themed this card is BTW – such a lot of fun. No winners yet unfortunately – but Game 2 board is looking good with just the pot or a present needed for a win. 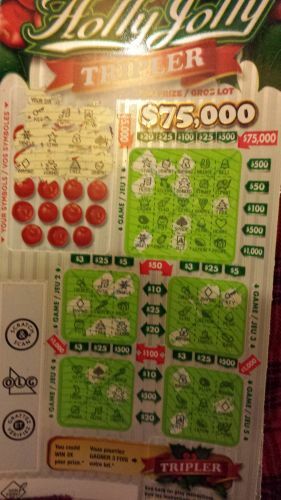 So I’ve left 3 to scratch at the very end. We’re doing great – on Game 1, a Bell is needed for $500, a plum for $20. The Gem and present for $5,000 or the Lemon and present for $1,000. Sadly $75,000 seems out of our reach. Game 2 we are still very close, and Game 3 as well. The other ones – not so much. We’ll scratch them one at a time – 3 symbols left. We don’t have that on Game 1. It’s only on Game 4. It helps us as it’s a corner piece but nothing too great. Okay there we go! So the present unlocks a winner on Game 2 of $5. This card cost $3 so we’re up $2. You just can’t beat that. Still one left to scratch. Let’s do it…. Unfortunately, the strawberry does nothing for us. And here’s the best part. It’s not over yet. If we scratch “Tripler” and get the word Triple we win $15. Let’s do it…. Hope you enjoyed Holly Jolly Tripler. 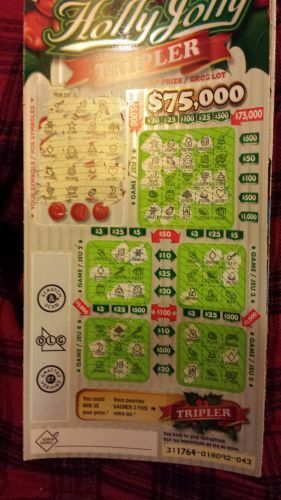 Stay tuned to the site for more scratch card blogs!